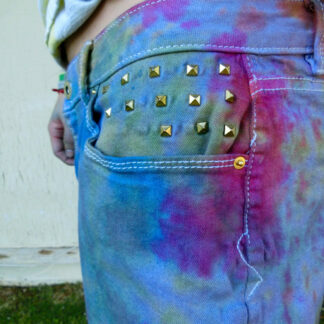 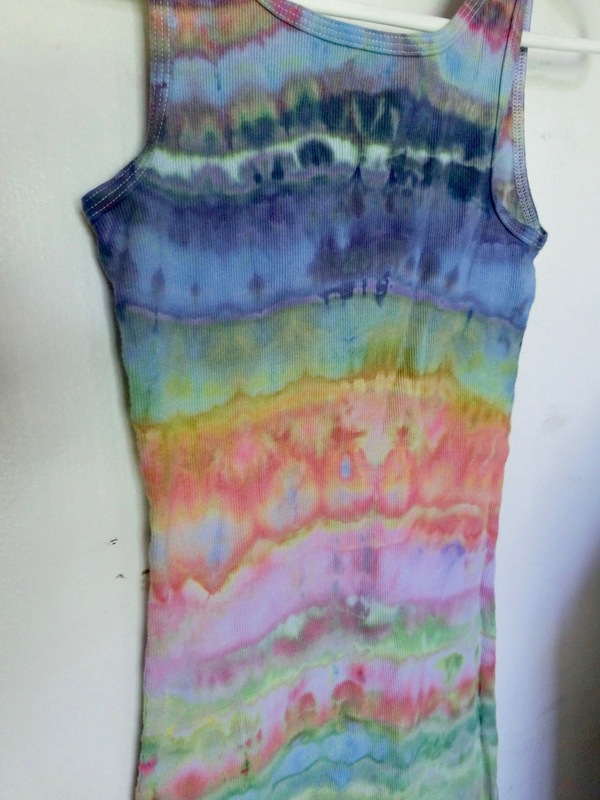 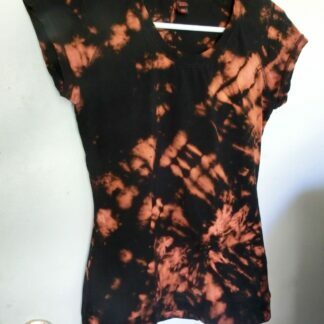 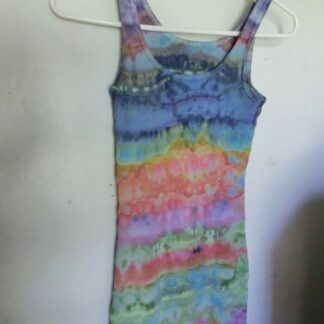 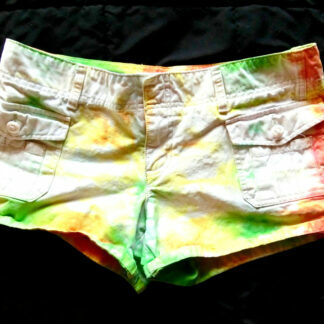 Medium sized multicolour tie-dye tank top. 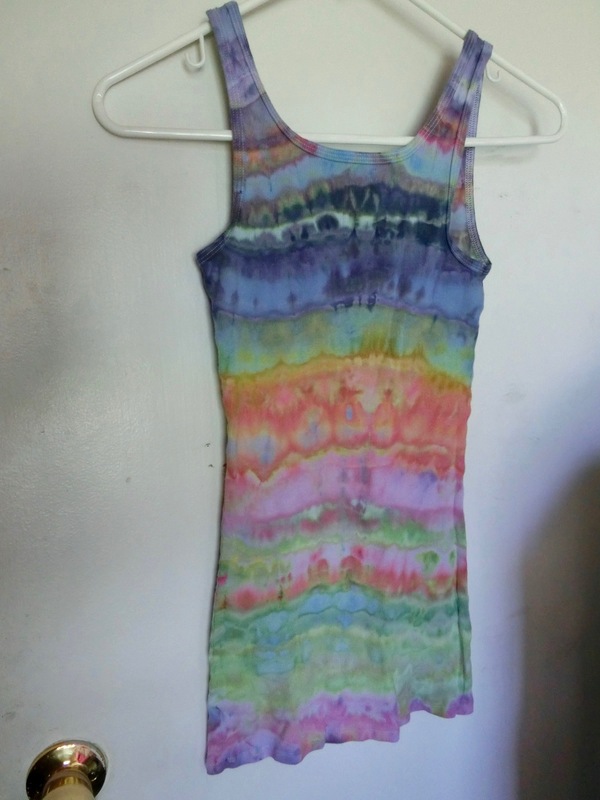 This groovy hand-dyed medium tie-dye tank top is made of soft, pre-shrunk & pre-washed cotton and colors are guaranteed not to bleed! 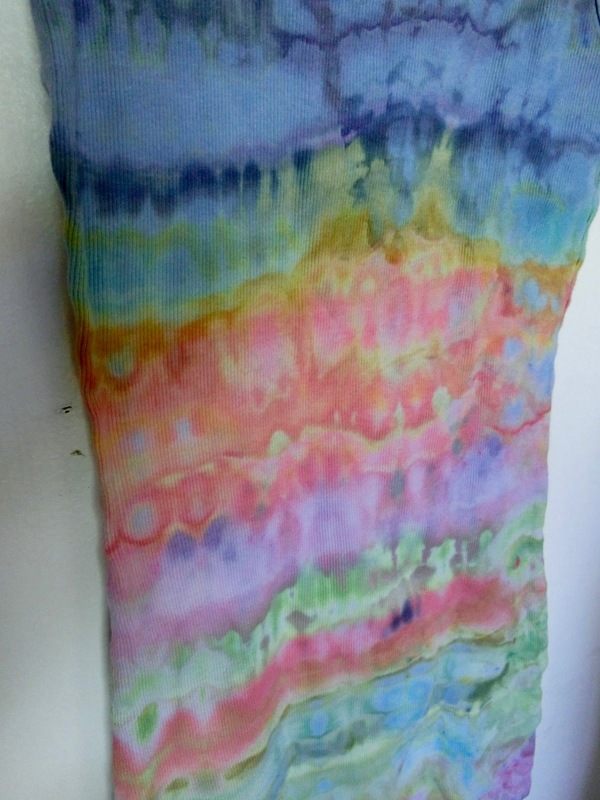 Shades of purple, orange, coral, green and more mingle in this trippy layered design. 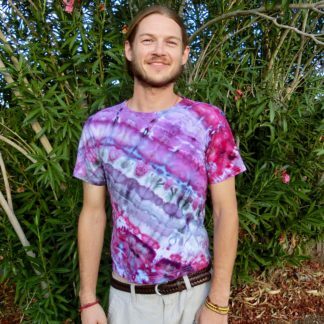 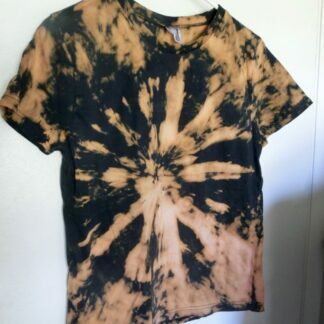 This shirt is super comfortable, perfect for lounging around the house in your jammies or adding a psychedelic flare to your next going-out ensemble, fighting ninjas, drum circles, parties, or whatever floats your boat. 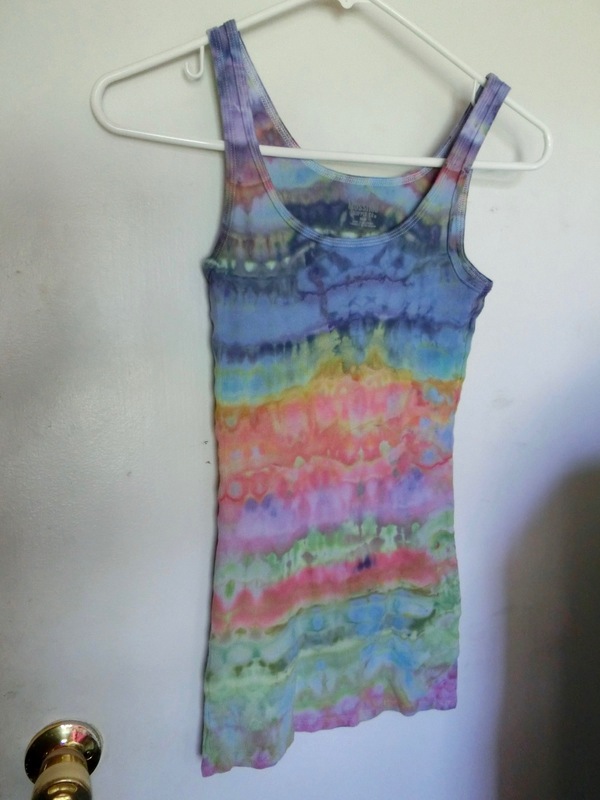 100% preshrunk Mossimo brand cotton tank.